Pesticides in produce and drinking water may be playing a role in the increasing prevalence of food allergies, according to a new study. Researchers looked at 2,211 people and found those in the top 25% for urine concentrations of chemical dichlorophenols - used to chlorinate tap water and keep pests off produce - were also 80% more likely to have a food allergy. "Adults can develop food allergies even though they're not kids anymore," says allergist and study author Dr. Elina Jerschow. "Adult allergies to foods are on the rise. That certainly includes shellfish and fish allergies, but also peanuts. We don't know what influences this development. But having been exposed to dichlorophenols in our study suggests there could be some link. "Researchers believe dichlorophenols may alter the composition of healthy bacteria growing in the human gut, which plays an active role in immune system functioning. It's the "hygiene hypothesis" - that allergies result from too few exposures to microbes in our contemporary, sterile environments - with a twist: the anti-bacterial environment might also be found inside the intestines. The study, published Monday in the journal Annals of Allergy, Asthma and Immunology, doesn't confirm that pesticides necessarily cause allergies or vice versa, but it does indicate a possible association. "Pesticides, and insecticides in particular, are inherently toxic to human health," says Dr. Kenneth Spaeth, director of the Occupational and Environmental Medicine Center at North Shore University Hospital in Manhasset, New York. "This has been known for a long time in regards to large exposures. However, it is only in recent years that the harmful effects of low-level exposure from pesticides have begun to be revealed." Reminds me of the article not too long ago that stated "Organic food not healthier for you than regular produce" then in the article it mentions the only difference iresearchers found was the lack of pesticides. Brilliant. I'm not one of these conspriacy, the sky if falling kind of guys, but we are systematically poisoning every aspect of this planet, water, soil, food, air, you name it. The global corporate concept that nothing matters except the bottom line has to change for all of our sakes. You had me with you until you started with the evil corporate empire nonsense. Corporations are neither good nor evil. They have the sole purpose of turning a profit unless diverted from their only goal. It is the people who run corporations who give them "personality". You are a direct beneficiary of abundant low cost food as a result of mass production by some of the largest corporations in the world. It seems to me a little ungrateful, on your part, to imply that bringing all that visually perfect low cost produce to you is some kind of evil plot. The usage of pesticide has dramatically improved the lives of billions by reducing insect bourne disease and preventing the loss of food you need for your table. I too am concerned about pesticide residue in my food and water and what its long term effects may be on me and my family. Meanwhile we have plenty of food to eat and have several generations who have never experienced a "natural" famine, despite dramatic increases in the mouths to feed on this world. Sorry Tek but that low cost food you speak of is complete garbage. Nobody but the corp is a beneficiary. I am fortunate that I never have to eat it, many are not so lucky. GB is 100% correct. Corporations can't only cater to the bottom line, period. In that study 30% of conventionally grown produce tested had detectable pesticides vs 7% of organics and in all cases pesticides were below the legal limit. So it's not like all conventionally grown food is swarming with pesticides. If we want to continue growing enough food to feed an enormous population for a reasonable cost, perhaps it may be more beneficial to shift the dialog towards lowering the limit of acceptable pesticides and figuring out exactly which chemicals are toxic and in what doses. Every substance you put in your body has chemicals that at the right dosage, will either cause cancer or kill you. Plants don't exactly WANT to be eaten, y'know, so they produce their own poisons. Kat, the legal limit is giving us food allergies as determined by this study. Other studies have shown that pesticide residue and fertiliser residue are promoting if not responsible for the ever increasing rate of autism in children, 1 in 88 infants born today. The 'legal' amount of residue and the amount necessary to cause health problems may be very far apart. Amounts measured in micrograms may be sufficient to disrupt growing human brain functions. What may be legal has little to do with this process. What are we doing to ourselves with this chemical residue? Are we poisoning our children? Evidence seems to indicate there's a good chance it is happening. OTOH, too many are dependent on the high yield of chemical fertilisers and pesticides. This Red Queen race can't go on forever. @peridot2: "Kat, the legal limit is giving us food allergies as determined by this study." The study says no such thing. It just shows a correlation and asks the question, with no cause and effect connection. Yet you jump to the conclusion that it proves a connection. This is how misinformation gets spread throughout the uninformed community. "Guess what? Roundup = Agent Orange. " That is an ignorant statement, and is totally untrue. You are confusing Roundup with 2,4-D, which was a component of Agent Orange. But the dioxin in Agent Orange that was responsible for most of the bad side effects was a contaminant of the other component, 2,4,5-T. Pesticides are going to be the ruin of the human race. When will people get wise and do something about the corporate mentality? Read the article. They're there to kill bacteria and other, you know, pests. Runoff from farm lands and suburbanites who spray chemicals on their lawns so they can have nice lawn grass that doesn't belong there in the first place. This suburbanite does not spray pesticides on their lawn, city dweller. Quit blaming us for everything. So sorry that I don't want to live in a concrete covered, smog infested, craphole city with litter everywhere. Not only from water, but there seems also to be an issue with Monsanto's "roundup ready" crops, whereby the insecticide works as an insecticide in your gut, also, causing the same altered-flora issue as described above. Scary stuff. Monsanto's Roundup Ready technology makes crops resistant to the herbicide glyphosate. Monsanto's BT technology expresses the a protein that will kill insects. Please know what you are talking about before posting. That being said, the extensive use of Roundup Ready technology and the use of glyphosate could have detrimental effects on the environment. Guess what? Roundup = Agent Orange. Still think that conventional produce is tasty and safe to eat? You're consuming micrograms of Agent Orange in your food. Malathion, generall considered a "safe" pesticide is also a well known sensitizer. Malathion has been widely used on bedding, as a grain preservative (to prevent insect infestation), and a general insecticide. If you have ever been on an international flight to the southern hemisphere you have probably been "fumigated" with malathion (by an aerosol application) before the plane lands. The author appears to be confused or uninformed. Dichlorophenol is NEVER used to chlorinate tap water. the only chlorination of tap water is either direct application of chlorine gas to the water, addition of hypochlorite (chlorine reacted with caustic to form bleach) of the addition of chloramines (chlorine reacted with ammonia because it is more stable than chlorine in water, thus remaining in the water longer which allows a lower dosing of the chloramine to be as effective as a higher dose of chlorine). Dichlorophenol is one of many chemicals used in industrial chemical syntheses including the manufacture of insecticides. The author failed to furinsh any information that would allow one to conclude that specific chemical is associated with increased allergies. Pesticides are in drinking water due to runoff from farms and other agriculture. They are sprayed on plants, they dry, it rains, they're washed off onto the ground and enter the water cycle. Voila, you're drinking poison! It's simple yet horrifying, isn't it? Finally the mainstream is catching on. Its about time. I hope they finally figure this one out. Guess what else is a pesticide folks...although many will say oh no it isn't "they say it is safe" and "everybody drinks it, it cant be"....CAFFEINE AKA 1,3, 7 trimethylxanthine is a natural pesticide that 95% of people use. Soda, coffee, tea, so called energy drinks. Do your own research if you do not believe. Ask the childrens parents who died from energy drinks. Caffeine facts: natural pesticide, decreases blood flow to the brain by up to 30% causing frontal lobe cell death, is a mild form of cocaine, causes an insulin response, disrupts dopamine and serotonin regulation (schizophrenics, most drink a ton of coffee which is why they are schizo), this is only a fraction of what this does to our bodies. "(schizophrenics, most drink a ton of coffee which is why they are schizo)"
Wow...I thought I'd read crazy things before, but this one takes the cake right there. Have you also read where caffeine can help improve Alzheimer and cuts down the risk for breast cancer? Lay off the coffee if you don't handle it well and don't touch my Juan Valdez. Neurosurge, I'm allergic to caffeine. I can't drink coffee, I can't have medications containing caffeine and I have to read labels to make certain my food doesn't contain caffeine. Caffeine a pesticide? That's one I've never heard or read before. Are you sure you aren't thinking of nicotine? Nicotine has been used as a pesticide in the past. It's very effective. It's a great poison, too. Tobacco makes a great compress for treat bee and wasp stings. After researching your claims, Neurosurge, one finds that much of your information seems to be from the Conspiracy Reality TV site. Several of your claims have been debunked: caffeine does not cause schizophrenia and plants make it naturally. Neither is caffeine used commercially as a pesticide. You people are all idiots. Keep drinking your caffeine and thinking your so called "diseases" are genetic. These are all facts on caffeine not conspiracy theory BS. Go to Wikipedia this is fact... Geez people are stupid. DUHHHHHHHHHH!!! Now take a closer look at genetically engineered crops which produce their own pesticides and you will see why people are "all of a sudden" developing gluten allergies. Humans evolved on gluten and didn't have that issue for hundreds of thousands of years, why the sudden appearance? GET A CLUE!!! Most plants, including food crops, contain "natural" pesticides without any genetic manipulation by man. Promoting fear of genetically engineered crops is misdirection of the educationally challenged by individuals with other agendas. Each and every one of us is uniquely different genetically and our immune systems quite possibly reacts differently the chemical and compounds that we ingest. I personally have lived a long life and throughout the years have been exposed to just about every carcinogenic chemical known to man. From DDT to "Roundup" and all the now banned "scientific breakthroughs" used as pesticides and to this day, I have no more allergic reactions to the environment than I was born with. So who knows? Pesticides are in our food and have contaminated the water. I would think that the concentration of the chemicals in the foods are more potent than in the water. . . Maybe someone else can address that concept. Consumption of water and vegetables are both essential. How do we purify our water from unwanted pesticides, herbicides, and discarded medications that are polluting our bodies? Britta can't do it all. Check out the Berky filters. They will take it out. It was very arrogant of you Earthlings to think those chemicals that kill other animals would not hurt you. 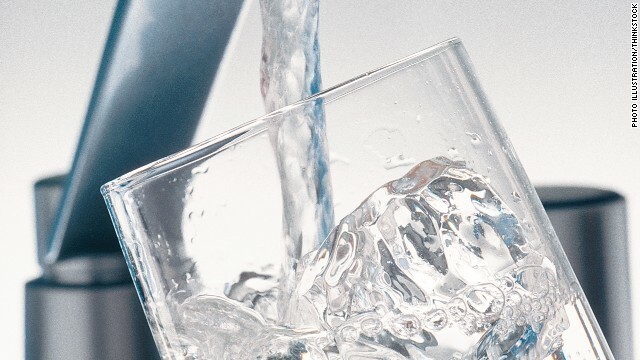 The study examined the levels of these pesticides and chemicals in tap water. Now for the question that no one likes to ask. What is the corresponding level of these chemicals in well water, and in people who drink that well water? It would depend on the well, William. You should get your water tested for pesticides. Depending on where your well is and how close you are to agricultural and farming areas, pesticide levels will vary. One hopes the levels are nonexistent to very low for your water. Good luck. What a shocker. Color me surprised. Using something that's a poison has bad results. Next you'll tell me that being shot in the head is frequently fatal. Caffeine is a "dangerous pesticide"?? Agricultural pesticides do need more testing, and fertilizer runoff is a HUGE problem to marine life (it caused the Great Barrier Reef devastation), but caffeine?? That's crazy talk, just like all the conspiracy theories, Candida and "acid blood" bs the chiro and naturoquacks are spewing. Ever hear about the dangers of "dihydrogen oxide," and how it can kill anyone in 5min? Let's just say it doesn't "hold water." Kat, a lot of fruits and veggies evolved to be eaten, and thus propagated. Some seeds actually have to pass through an animal's intestines to sprout, just like some tree seeds can only germinate after there has been a forest fire. Why do you think apples and tomatoes are edible? Round up is poison just look at the french study and the horrific tumours in the mice. Humanity wont live long with these toxins. I'm alergic to penut butter. Fumigation practices at warehouses and other facilities where produce passes through on the way to market should be looked at. Food marked organic with the claim that no pesticides were used gets poisoned in transport on the way to the market. Then when problems arise this part of the puzzle is never seen. Yeah... or you could just wash the fruit be for you eat it.